Most of our properties offer special rates for Labor Day weekend. Please check each property for rates and availability. Labor Day is generally thought of as the end of summer -- the last hurrah. School often starts the week after Labor Day. So how did we end up with this end-of-summer holiday? Labor Day is celebrated the first Monday in September. It was created by the labor movement as a day of tribute to the contributions workers have made to the strength and prosperity of the United States of America. Historians aren’t one hundred percent sure who originally came up with the idea of Labor Day. Some believe that Peter J. McGuire -- who was co-founder of the American Federation of Labor and served as general secretary of the Brotherhood of Carpenters and Joiners -- first suggested a holiday to honor American workers. Other research suggests that machinist Matthew Maguire came up with the idea while serving as secretary of the Central Labor Union in New York. (Maguire also served as secretary of Local 344 of the International Association of Machinists in Patterson, NJ.) With similar surnames and active involvement in labor unions, it’s easy to see how some confusion could arise. In any case, the holiday was first celebrated on Tuesday, September 5th, 1882 in New York City with a demonstration and a picnic. The second Labor Day followed on the same date in 1883. By 1884, the Central Labor Union shifted the day to the first Monday in September -- as the idea had originally been proposed. New York set the example for a “workingman’s holiday” and urged organizations in other cities to take up the date. 1885 saw Labor Day celebrated in many industrial areas around the United States. Government recognition of the holiday came in 1885 and 1886, when municipal ordinances relating to Labor Day were passed. States moved to secure Labor Day legislation; the first state to officially recognize Labor Day was Oregon in 1887. That same year, four more states -- Colorado, Massachusetts, New Jersey, and New York -- made Labor Day official through legislation. 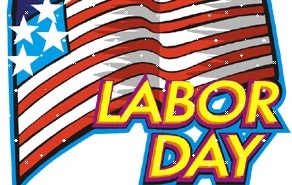 By the end of the 1880s, Connecticut, Nebraska, and Pennsylvania had official Labor Day legislation on the books. By 1894, twenty-three states had adopted the holiday. Congress officially adopted Labor Day for Washington, DC and the U.S. territories that same year. Originally, Labor Day was intended to exhibit the strength of the trade and labor organizations -- through parades, festivals, demonstrations, speeches, and more. So this year, don’t just think of it as summer’s last fling… think of Labor Day as a celebration of the people who work hard to make this country great.